Places recorded by the Registrar General under the provisions of the Places of Worship Registration Act 1855 (2010) provides the information the congregation is of "Ravidassia Hindus", though at the time of listing it is recorded as "Shri Guru Ravidas Bhawan". Now or formerly Ravidassia Hindu. 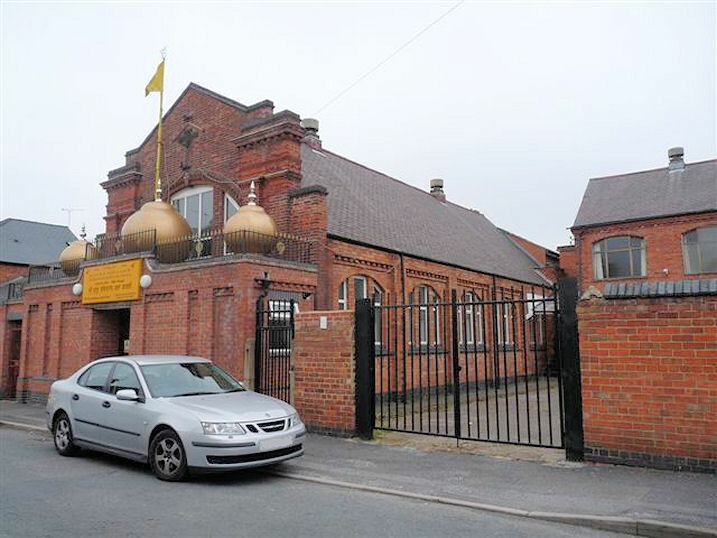 Shri Guru Ravidass Sabha (Sikh Temple), Normanton, Derby shown on a Google Map. Information last updated on 11 Dec 2011 at 10:14. Please also remember that whilst the above account may suggest that Shri Guru Ravidass Sabha (Sikh Temple) remains open and accessible, this may not remain so. This Report was created 23 Mar 2019 - 22:09:22 GMT from information held in the Derbyshire section of the Places of Worship Database. This was last updated on 6 Feb 2019 at 15:49.